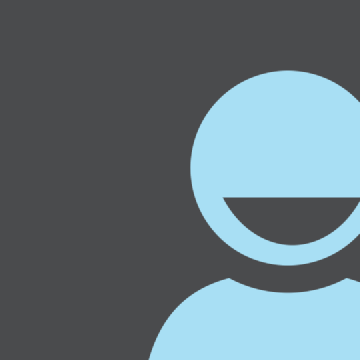 2. digital info line (for date, secondary time zone, alarm, countdown, etc.) but not in the middle of the analog face, for God sake! 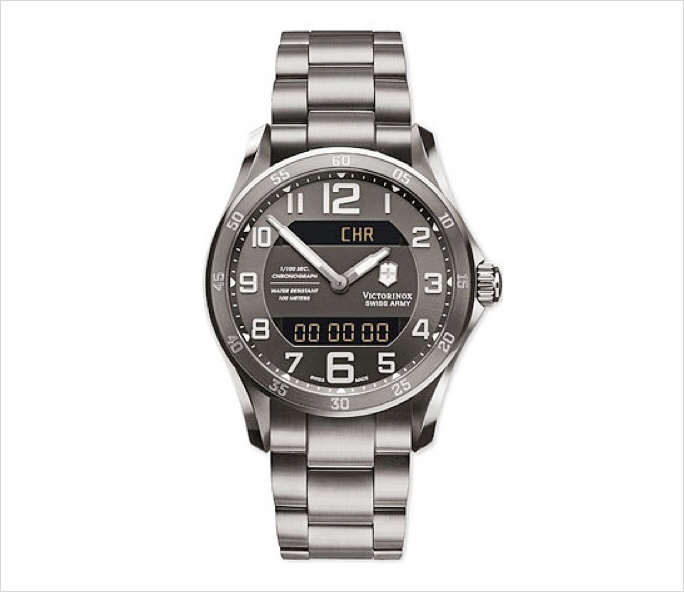 Why can we NEVER see advertising photos of analog watches showing the time in the x.hr 15.min position? Because the minute hand hides the date window of course So I want a 'digital info line' under or over the analog face. 3. a way to see the time at night: I can't understand the point of wearing a watch if you can't see it in the dark! 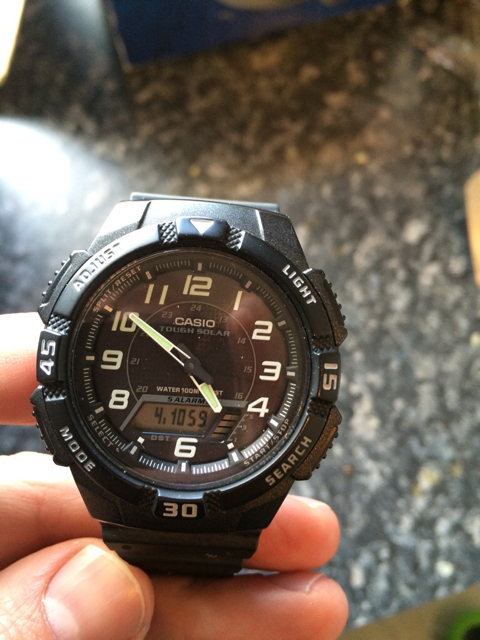 CASIO had a small range of watches offering exactly all of the above (AQ150W, AW-48H). Sadly no longer in production. What about something like the Casio Telememo 30? Nice, but same problem as with all the other watches having a date window on the inside of the analog face. 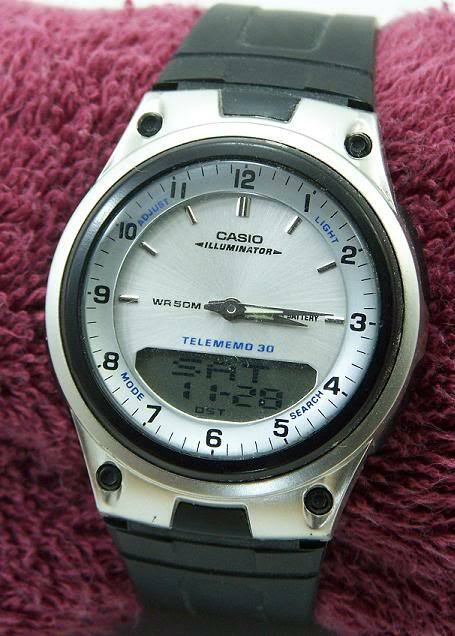 On that Casio Telememo 30, the hour and minute hands would hide the digital display when it's 6.35 am/pm or 7.25am/pm for example, making it very hard to read for long period. Hence why I want the digital display to be outside of the analog circle. The only one I can think of that has a digital display that doesn't get blocked by the hands is the old seiko h558 / h601. The h558 is commonly referred to as the Arnie as it appeared in several of his films. They're still around but rather pricey. Yeah, I get what you are saying. The Telememo does have that problem, but not too bad as the hands are very slim and the digital readout is quite large, but yes, it does indeed cover the screen at times. Kakashi has a good suggestion there, and that's about the only one I can think of. 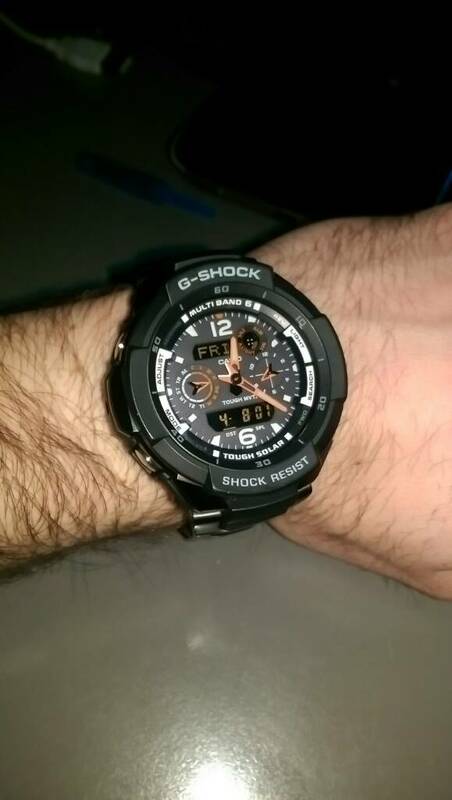 What about this tough solar aq-s800w? Easy to read good light, solar battery, multiband, you can still find thems on eBay, and all of those casios that you mentioned, you can find them there, new our used! I have the leather band one, but the rubber band one (T49967etc) will be better for swimming. I offer an old Casio Analog with digital info line here, maybe it´s what you are looking for?! I do have a Timex with a digital info line on an analog face and various other Casio Analog / digitals, too. I just browsed this thread and read more careful to be able to offer alternatives. On the modern AWG-M100 for example, there is a function that will move the hands out of the way of the digital subdials while using functions except timekeeping. Some of the pathfinders/protreks keep teh lcd out of reach of the hands, too AFAIK. I understand that you want analog, but my suunto core all black tics all te boxes except for analog watch face. As most digital watches it has a button that lights up the watch face and the secondary display doesnt get blocked by the hands. Battery last 12 months tons of functions and easy to use.